Hey Guy (guitarist of Gogol Bordello) is coming with a high energy show to Manufactura! 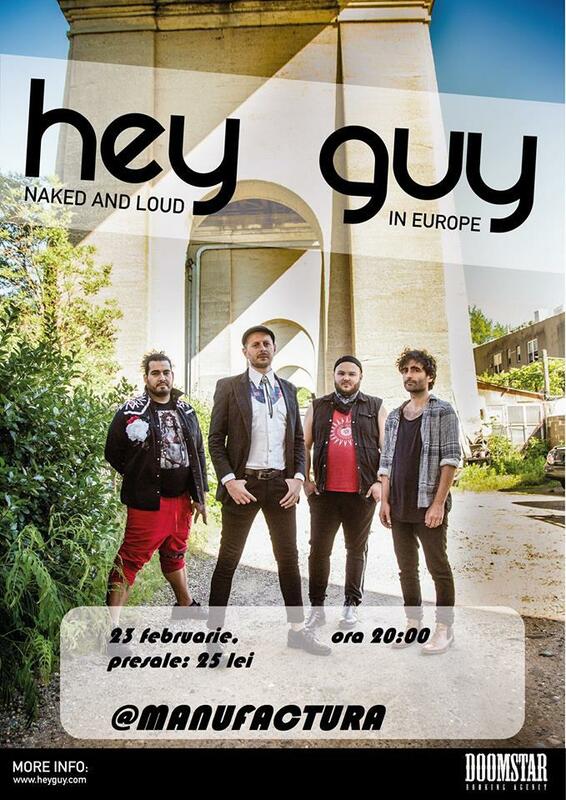 After hundreds of raucous, theatrical and certainly memorable shows spanning the globe, Boris Pelekh, guitarist of Gogol Bordello hits the road with his side- project and provacative new band Hey Guy. you've got a party courtesy of Hey Guy. ...and Hey Guy’s message is simple “you're perfect. Disarm your fears and rejoice in your life." Inca nu a fost adaugat continut media la evenimentul: Hey Guy (Gogol Bordello guitarist) LIVE in Timisoara @Manufactura.